Securing 97.2% in the Grade XII CBSE Boards, Ms. Kaavya Srikumar not only topped our ITPL campus but is also one of Bangalore’s toppers. 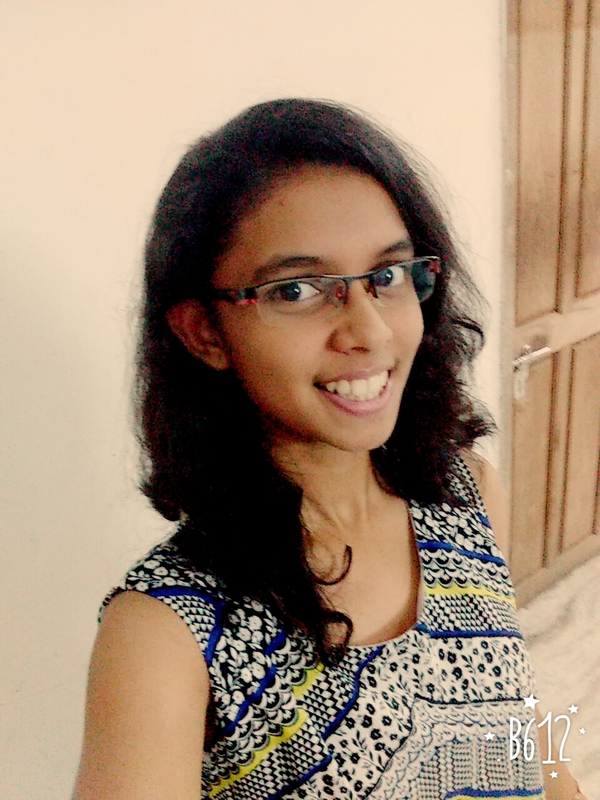 Leading the city’s CBSE results is no easy feat, so we got in touch with her, to understand how she pulled it off. Fresh from the day of the results, the emotions haven’t settled with our topper, who admits her disbelief at the numbers that appeared on the computer screen. With her record of academic excellence, we just had to know her secret of topping the boards. Apart from covering the highlighted portions in the textbook, Kaavya also addressed the importance of revision as a tool that helped her with her exams. On being asked for advice for juniors and future aspirants of the Grade XII CBSE Boards, Kaavya noted the downside of rote-learning and the importance of being well prepared. Last minute cramming never works. I prefer a well-planned preparation schedule. I’d also suggest analysing and solving a number of old question papers. This will help shed light on important and frequently asked questions. CBSE questions are application based, so mugging the textbooks won’t be helpful. Making the best use of the study holidays is a must to score well. 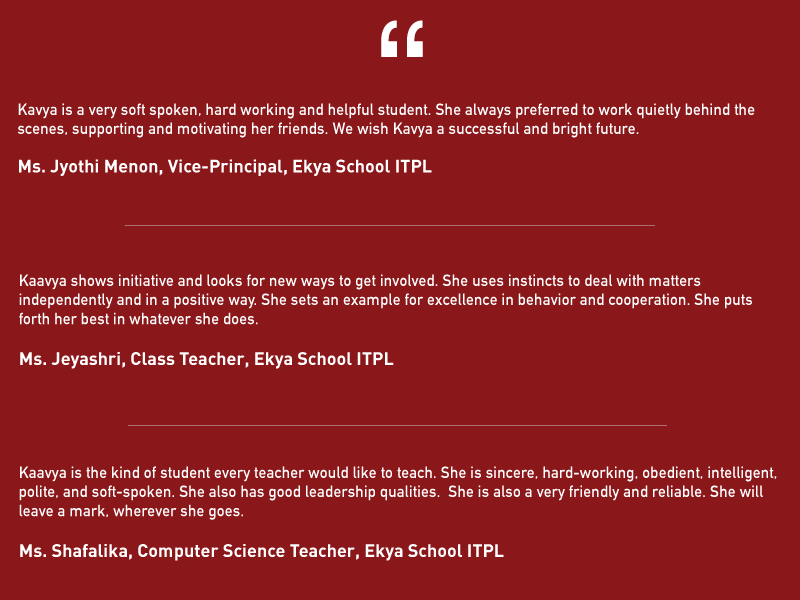 Kaavya is not the only Ekya student to top the city at the boards. Devaamsh Rajesh from Ekya School JP Nagar topped the school and city at the ICSE boards – Read his story here.